Are you looking for garden shears near Ponteland? If yes, then your search ends here. Cowell’s Garden Centre offers a wide range of pruning equipment for your garden. 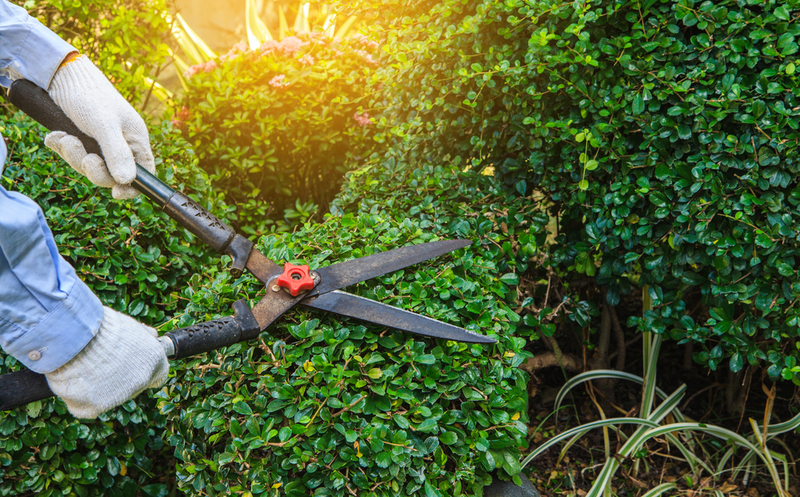 From secateurs that you can handle in a hand to telescopic pruners for the furthest branches of your trees, we have all the tools you will need in Ponteland for garden pruning. If you are a regular customer, you know we are not exaggerating and, if you are new, this is all the bigger reason for your visit. Pruning is one of the most satisfying things about gardening. After all the hard work, when your plants, shrubs, and trees are growing joyfully, it feels great to go out into the garden and prune them into shape. It is the final step in the process of creating a beautiful garden. Starting with hand-held secateurs, you can find the perfect pair in our garden centre. We keep secateurs that are ideal for small, thin branches. You can get a good pair of secateurs near Ponteland from our nursery and use it for branches of any growing plant. They are perfect for garden pruning in tight corners and the anvil design is perfect for managing woody stems as well. Next in line is our display of loppers near Ponteland. This pruning tool is bigger than secateurs and is perfect for branches as thick as 5cm in diameter. They look like an oversized pair of secateurs and many designs come with extended handles so you can easily reach into the thick foliage and apply more force easily. Our collection of pruning saws near Ponteland is also second to none in quality and variety. Pruning saws make the perfect tool for thicker, medium-sized branches of grown plants and small trees. They come with hinged blades packing away into the large, fixed handle that allows you to cut through wood conveniently. For harder and other major jobs, we keep a wide range of bow saws that will cut through any thickness of wood. They are ideal for pruning your garden trees. They come in a ‘D’ shape and are designed with hacksaw-shape blades so you can work through even the toughest knots and corners. Last, but not the least, is our stock of overhead pruners near Ponteland that allows you to reach any height with our specialised telescopic handles. They come with both a pruning saw as well as a lopper blade so you can take care of any job you want up there. At Cowell’s Garden Centre, you will be able to get your hands on the best pruning equipment for your garden for amazing prices. Through the years, I have kept a consistent focus on delivering the best to our customers. This is why our customers trust our collection of gardening essentials. They understand our stock comes from top-of-the-line manufacturers that seasoned gardeners in Britain trust. Our branded pruning equipment comes with several years of performance guarantee. When you visit our nursery, make sure you talk to one of our sales people about your preferences and the purpose you need your pruning tools for. If you want garden shears near Ponteland, our nursery has a big range of options. Thus, talking to an expert will allow you to save a lot of time and money, as they will point you to the right items as soon as they understand your preferences. Visit us soon to get the best garden shears near Ponteland and other pruning tools!